Your email address was attached to Reference Number (25049-S38), and was picked up as One of the eight (8) lucky winning email Addresses. 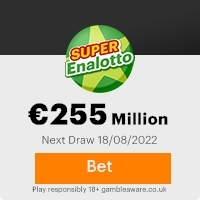 Your winning email addressee has been qualified to Claim a Cash Prize of �750,000.00(seven hundred and fifty thousand euros), from a total cash prize of �6,000,000.00 shared among eight (8) lucky winners. N.B: For proper verification on your lucky winning email prize, you are to visit our online website page (http://www.loteria.com/once.php) and indicate the date this email lottery programme draw of the ONCE SPANISH LOTTERY was held [30th(dia) -11(mes)- 2006(Ano)] and there you will find your result Reference Number (25049-S38). Please verify your information�s on the website page before contacting your claims agent and keep all lotto information from public to avoid double claims!!!! This Email with the Subject "ACKNOWLEDGE!!!" was received in one of Scamdex's honeypot email accounts on Wed, 21 Feb 2007 06:14:20 -0800 and has been classified as a Generic Scam Email. The sender shows as "anitadiego " <anittadiegoe2007@rediffmail.com>, although that address was probably spoofed. We recommend that you do not attempt to contact any persons or organizations referenced in this email, as you may expose yourself to scammers and, at the very least, you will be added to their email address lists for spam purposes.